This week, writer Tini Howard and artist Kate Niemczyk board the Tigress and set sail along the Black Coast in AGE OF CONAN: BÊLIT, QUEEN OF THE BLACK COAST. In this five-issue mini-series, readers will learn how the self-professed Queen of the Black Coast assumed her mantle and became one of the most feared pirates in all literary history. Of course, this won’t be the first time readers encounter the most ferocious pirate of the Hyborian Age! 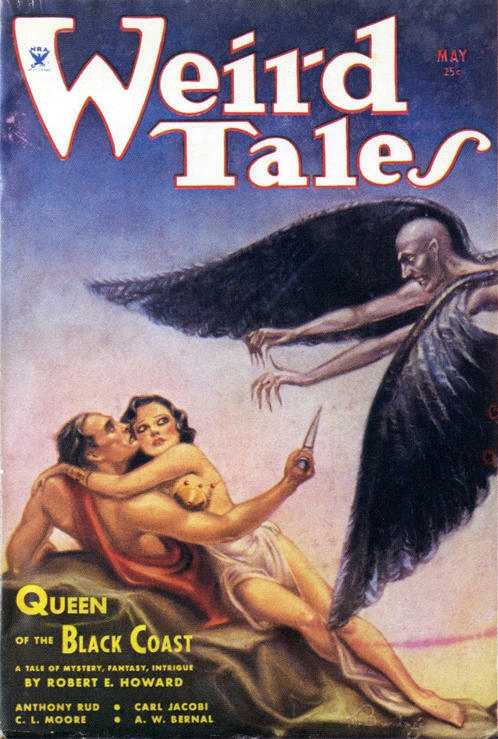 Bêlit’s control of the seas goes back for decades with her introduction in WEIRD TALES #23, first published in 1934. Although this femme fatale followed many of the conventions of that era – when women found themselves depicted as lithe, buxom, and scantily-clad – Bêlit made a name for herself apart from being a love interest for the male protagonist. In this regard, the She-Devil of the Sea set herself apart from so many others that the Cimmerian conquered on and off the field of battle. In fact, her ability to remain not only unconquered by Conan but to subdue him forced the barbarian and his hordes of fans to respect Bêlit, not dissimilar from the raiders aboard her ship who never dared question or approach her as anything other than their captain. And as a ship’s captain, she taught the Cimmerian the art of pirating at sea aboard her ship of raiders – something that would add to Conan’s fame and notoriety. Like Conan, however, Bêlit’s passions ran deep as evidenced by the fact both she and Conan met and fell in love while battling against one another. Although the two lovers were inseparable, her spirit could not be tamed no matter the harm it brought upon them. Following a successful raid, the avaricious pirate queen found herself slain at the hands of a winged-demon, which sought to retrieve the ruby-laced treasure to which she held fast. Yet even death would not separate the Queen of the Black Coast from her barbarian for long, as she briefly returned from the dead to aid Conan in the destruction of the demon that slew her. Some might see this as a lover keeping an ever-watchful eye on her beloved. And still others may suggest that even after death, one should never cross Bêlit, Queen of the Black Coast! For decades after her original literary death, fans’ fascination with Bêlit never seemed to die. Appearing in reprintings in the years following her first appearance in 1934, she sailed into a four-colored harbor with Marvel in 1976 thanks to Roy Thomas, Mike Ploog, and “Big” John Buscema in CONAN THE BARBARIAN #58 and eventually finding her doom in the 100th issue three years later in a story that expanded upon, but largely followed, Robert E. Howard’s original story. 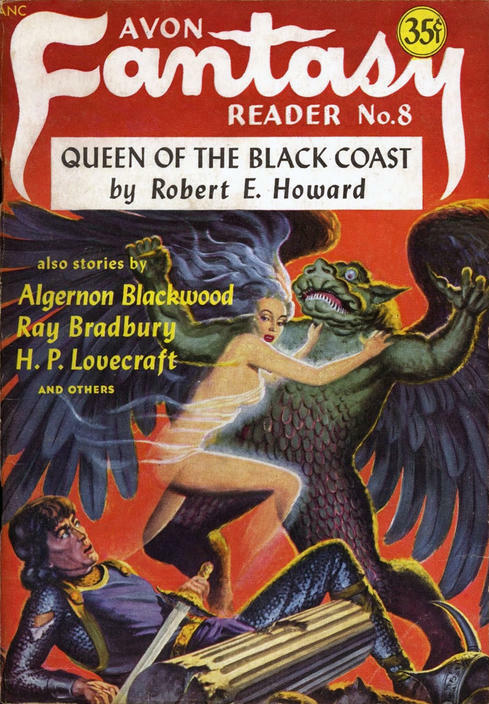 She would appear decades later in the series from Dark Horse, which introduced her story to a new generation of avid readers. And now? Now it is time to board the Tigress once again with Tini Howard and Kate Niemczyk as they introduce the Black Queen to a new crew of readers. And not only can fans follow the rise of Bêlit as told by Howard and Niemczyk, but there will also be an all-new prose novella included in each issue. AGE OF CONAN: BÊLIT, QUEEN OF THE BLACK COAST #1, written by Tini Howard with art by Kate Niemczyk, goes on sale Wednesday, March 13, online and at your local comic shop!